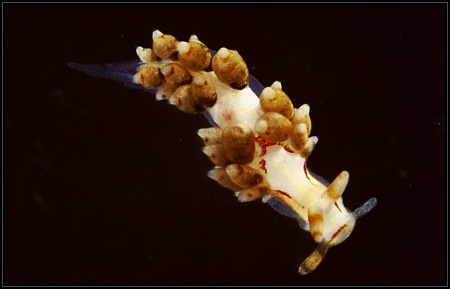 Cuthona genovae is a small aeolid nudibranch found in shallow water amongst algae. 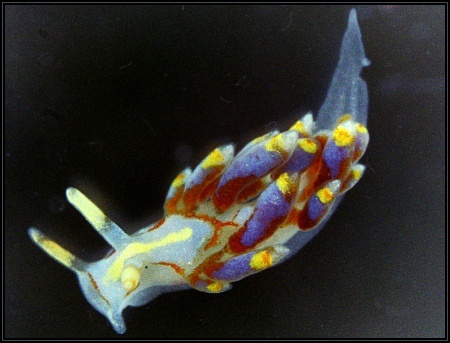 The cerata are variable in colour possibly due to dietary differences. The colour varies from brown to purplish in some specimens. 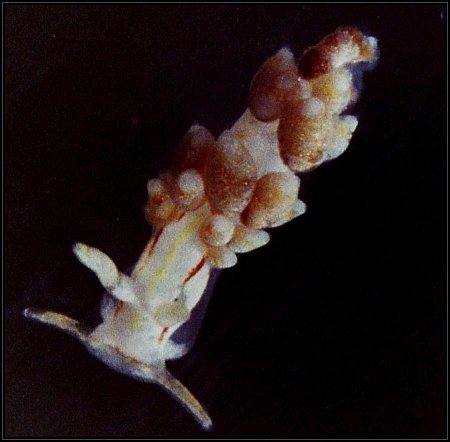 Propodial tentacles: Absent, (foot rounded). Oral tentacles: 2 in number, short, with white tips. 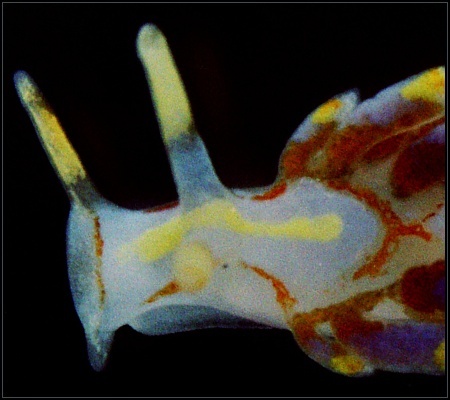 Rhinophores: Translucent with white tips, smooth. Cerata: Brown to orange brown coloured at the base, paler at the upper areas (in one case purplish), with various small white spots and white tips. 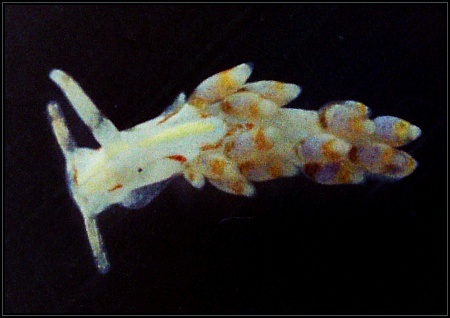 Body: Translucent with white pigment in the anterior area, clear central area and white spots on the posterior part of the nudibranch. Two orange lines are present along the dorso-lateral part joining just behind (and in front) the rhinophores. A yellow line is present starting from the anteriormost part, passing between rhinophores and ends behind the rhinophores. C. foliata, with which it may be confused. The presence of a central yellow line may be used to identify this species.